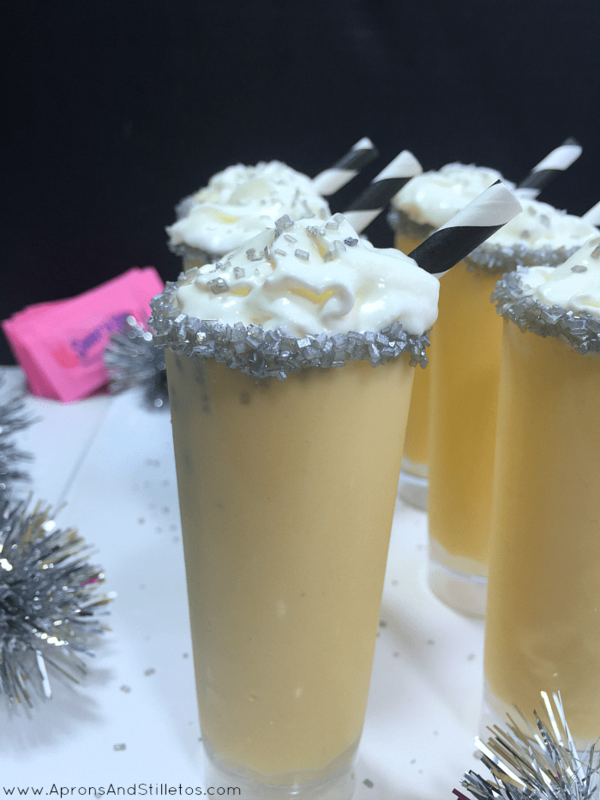 I have a deliciously sweet Eggnog recipe for you today and it’s sponsored by Socialstars in partnership with the #donthesitaste Sweet’N Low® campaign. All opinions are mine. I grew up drinking eggnog every Christmas at my grandmas house. It was one of the holiday treats I looked forward to. Since I’ll be making Christmas dinner this year, I want to try and make eggnog like my grandmas. 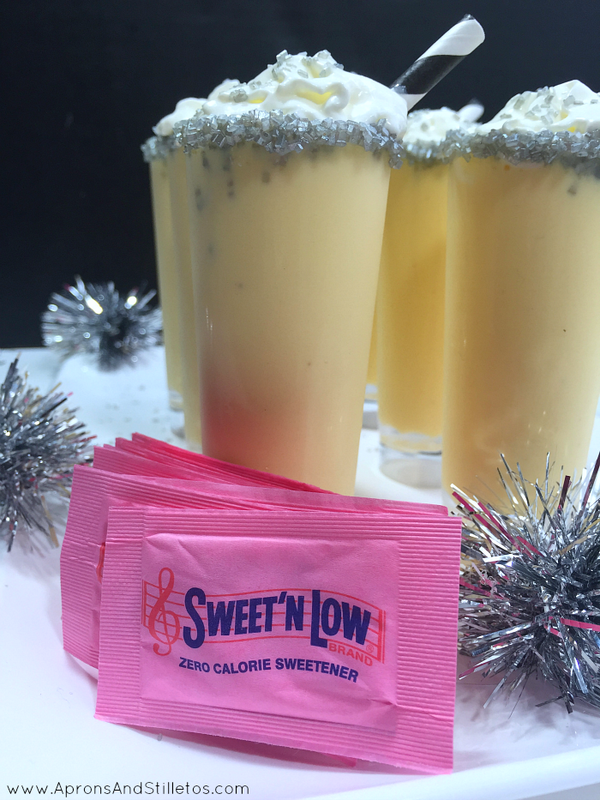 In a typical eggnog recipe, you’d find sugar listed as an ingredients but instead of sugar, I’ll use Sweet’N Low® zero calorie sweetener. I’m cutting sugar from my diet this month, but with Sweet ‘N Low, I can still enjoy sweet flavor without the extra calories. Two tablespoons should be enough to provide a hint of sweetness without the extra calories from sugar. Blend together all ingredients in a bowl for 10 minutes on high. 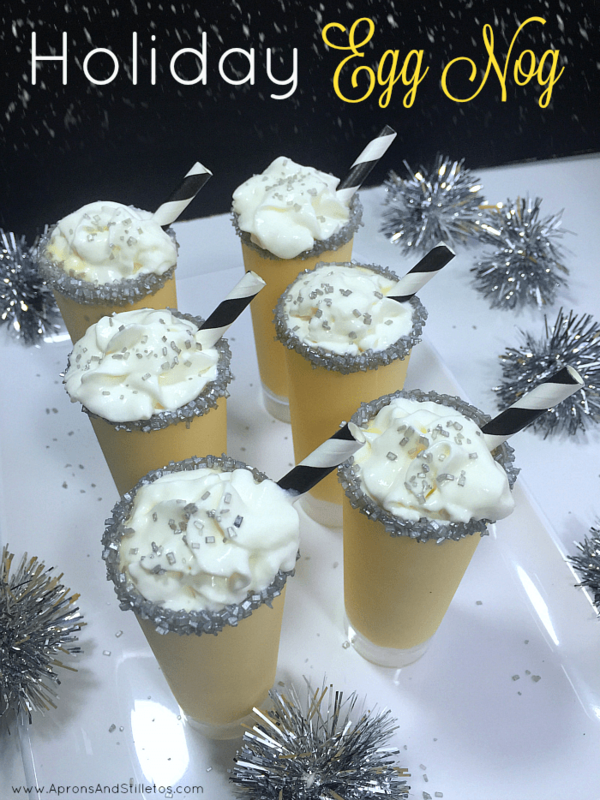 To create sparkly glasses, dip the rim of each glass in sweet condensed milk and then into silver edible sprinkles. 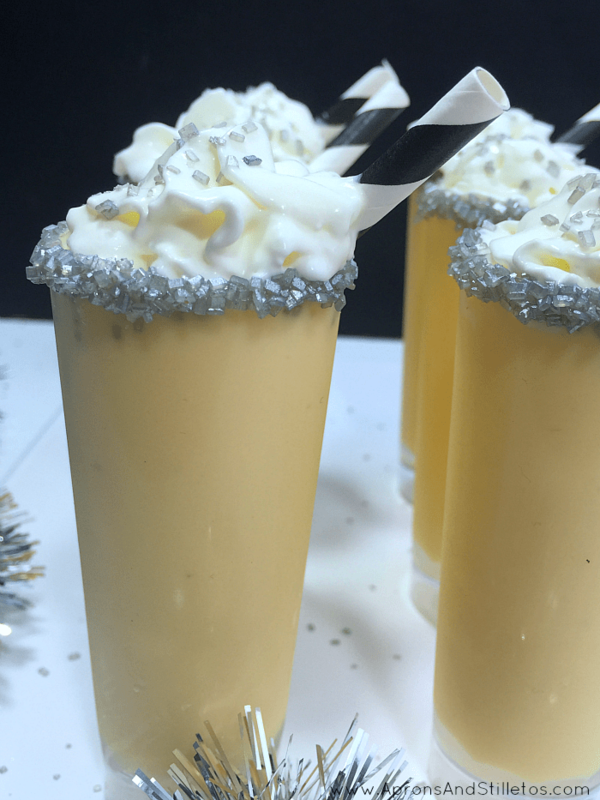 Pour chilled eggnog into glasses, top with whipped cream, sprinkles and enjoy! 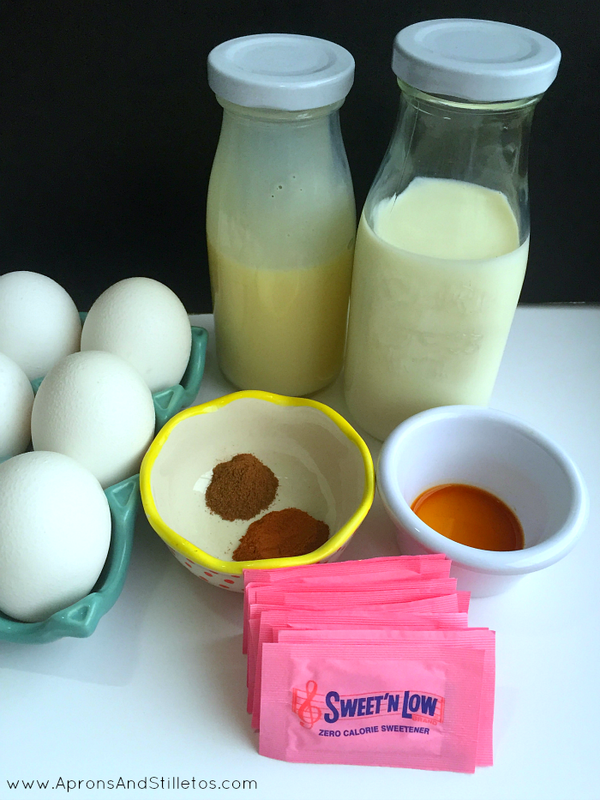 This eggnog is an easy low calorie recipe that is easy to make, pretty and so delicious. My family loves eggnog! I'll have to share this with them! So festive! I love eggnog and that looks so pretty. I can't wait to try this. Oooo, I just made some eggnog this weekend too! I love how yours is topped with whipped cream. Yummy! I actually have never tried eggnog. But yours looks so amazing – can I have a glass??? I love this recipe! I used to drink eggnog when I was "skinny." Not any more! Your post gives me hope, LOL! Great photos! Perfect holiday recipe for a refreshing drink. I am glad that this was made with Sweet N' Low. It will help keep my blood sugar in check.